You are at:Home»Dairy»What is Asiago cheese? Asiago cheese is an Italian cow’s milk with variety of texture such as smooth to crumbly which depends on its aging. This cheese is grated in soups, salads, sauces and pastas. It is sliced for preparing sandwiches or Panini and also could be melted on various dishes and cantaloupe. Being one of the typical products of Veneto region, it is still popular and widely used in DOP area where it is produced. Strictly the production area defines that it starts from meadows of Po Valley and ends in Alpine pastures between Asiago Plateau and Trentino highlands. The milk is collected in an officially designated area. The production of Asiago DOP cheese extends to 4 provinces in North-east of Italy (entire Vicenza and Trento and also a part of provinces of Treviso and Padua). It is prepared and matured in a dairy which is located further 600 meters above sea level with the use of milk from farms which is also more than 600 meters above sea level that is entitled to additional label “Product of Mountains”. Alike cheeses are produced mainly in the United States with the use of different techniques and cultures which produce cheese with similar appearance and different taste. 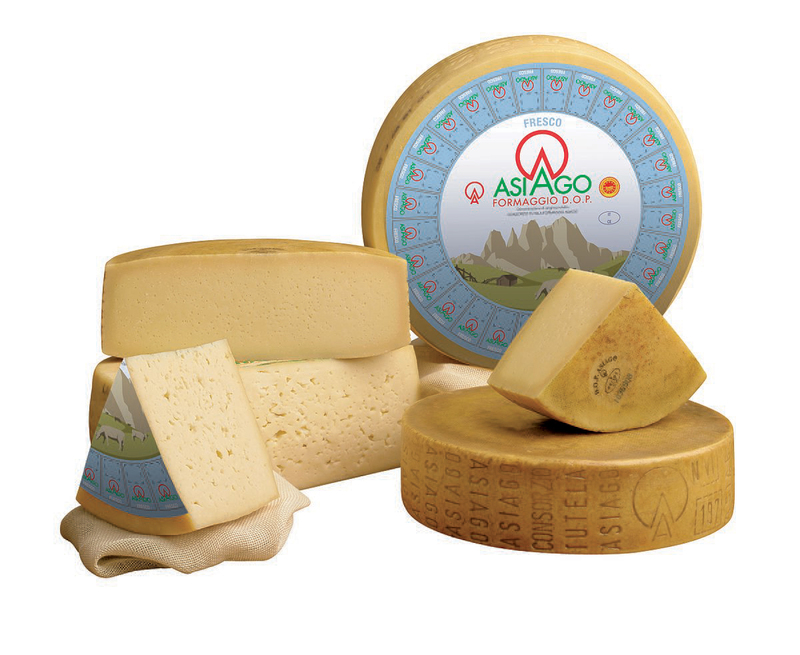 Asiago have to go through many changes considering different textures according to its aging. Fresh Asiago and Aged Asiago are the two types of Asiago. Fresh Asiago has smooth texture and Aged Asiago has crumbly texture. When young, it is called pressato and matured ones are known as d’allevo. Latter ones are categorized as: Mezzano, Stravecchio and Vecchio. 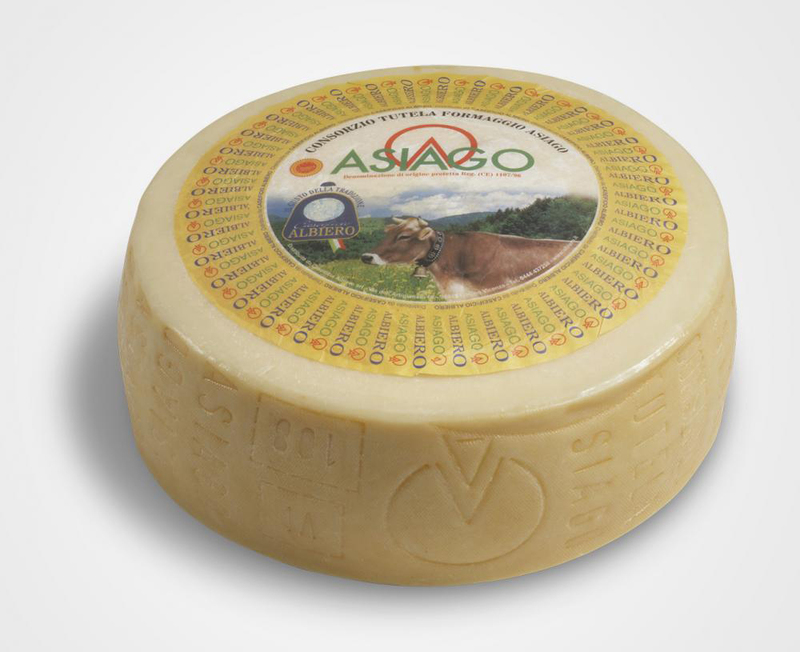 Asiago d’allevo has different maturity periods such as Mezzano is matured for 4 to 6 months, Stravecchio is matured for two years and Vecchio is matured for more than ten months. 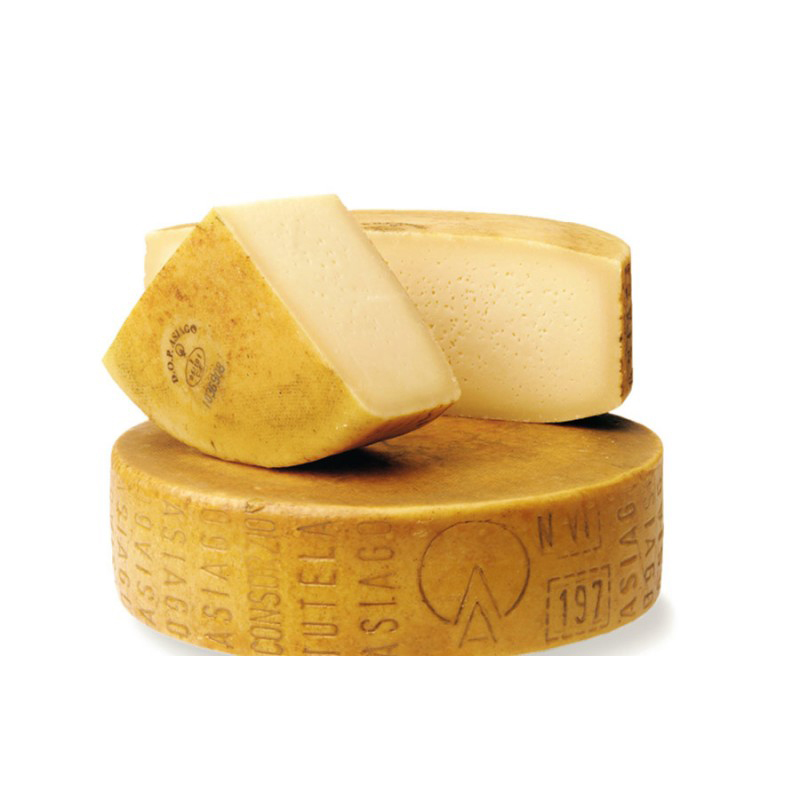 Asiago Pressato is a soft and mild cheese which made from whole milk and is matured for a month. The color of the rinds depends on age that can be from straw colored and elastic to brownish gray and hard. 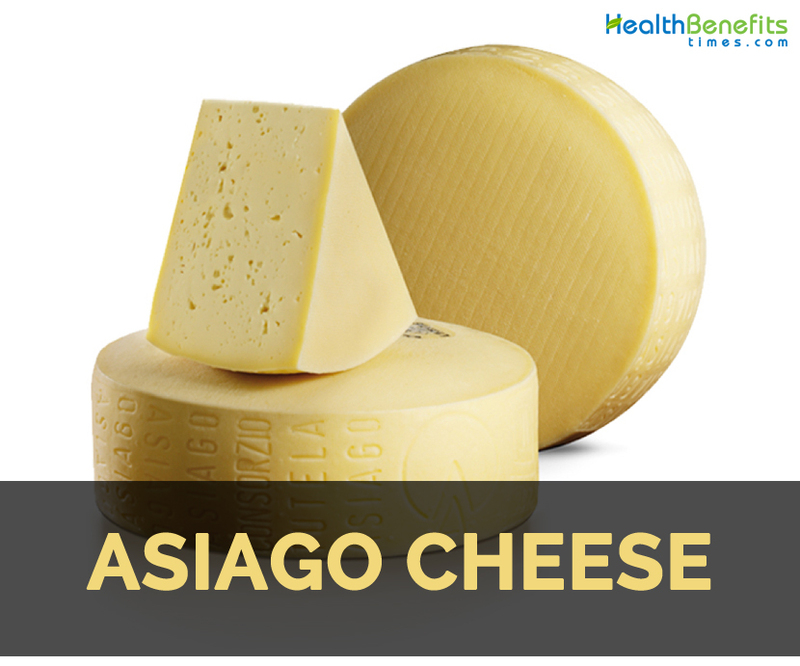 Asiago can be used for melting, grating and slicing on various salads, soups, sandwiches, sauces and pastas that is based on aging. This cheese is firm and mold pressed that originated in Italy. 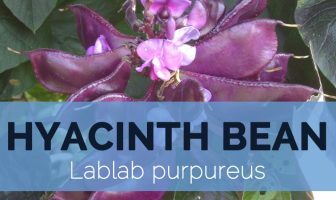 It can be consumed after three weeks of aging but it could also be allowed to get older. Asiago with shorter aged form is called Asiago Pressato. Asiago cheese is cylindrically shaped with 30 to 35 cm in diameter and is about 10 cm high. The cheese round weighs 8 to 12 kilos. The color varies from amber to brown when matured fully and the rind becomes fine and smooth but tough. In between tenth and fifteenth centuries, sheep raising was the predominant agricultural activity with the purpose of producing savory cheese and also the production of wool. Around 1500 sheep got replaced by cattle as an outcome of breeding’s modernization. In this region, bovine milk replaced sheep milk in cheeses in 19th century. The traditional technique of making cheese is still preserved in farms of Plateau that was improved with modern technology. This got spread to small and mid-sized dairies extensively in territory of Asiago. Until 19th century, Asiago cheese production became prevalent. How to make Asiago cheese? In a large pot, heat the milk together over low heat. Increase the temperature slowly to 92°F. Stir in the starter by sprinkling it on the milk surface, letting it to rehydrate for 5 minutes before stirring it. Cover the milk and keep temperature at 92°F for about 45 minutes. Stir in the rennet with long, up-and-down motions. Cover it and let it remain for 1 hour by maintaining the temperature at 92°F. Once the curd has clean break in the curd, cut the curd into ½ inch pieces and let it remain for about 5 minutes. Slowly bring temperature to 104°F. Remove it from heat, once the curds reached 104°F and stir continuously for 15 minutes. Put the pot on the stove at low heat and increase the heat carefully to 118°F by stirring frequently. Stop to stir the curds, once this temperature is reached and allow it to settle. Cover it and keep the temperature at 118°F. With the use of ladle, remove the whey. Line with cheesecloth on draining baskets and place it on a draining rack. Transfer warm cheese curds in lined molds. Gently press the curds a few times. Put a follower on top of filled molds and press it for one hour at 8 pounds of pressure. Remove, flip and re-dress cheese and again press at 8 pounds for 8 hours more. When the cheese is pressed, prepare a gallon of saturated brine and chill it to 50°F. After pressing, take out of the molds and put them in brine. Let it soak for 12 hours. During the soaking period, flip them a few times. Take out the cheese from brine and let it to become dry. Keep it on a drying rack and cover it with clean cheesecloth. Air-dry several days or till the surface of the cheese becomes dry to touch. Also flip cheese few times during the process of drying. Fresh Asiago is also known as Asiago Pressato. The cheese is made from whole milk and is matured for a month. It has smooth texture and is sold as soft and milder cheese. 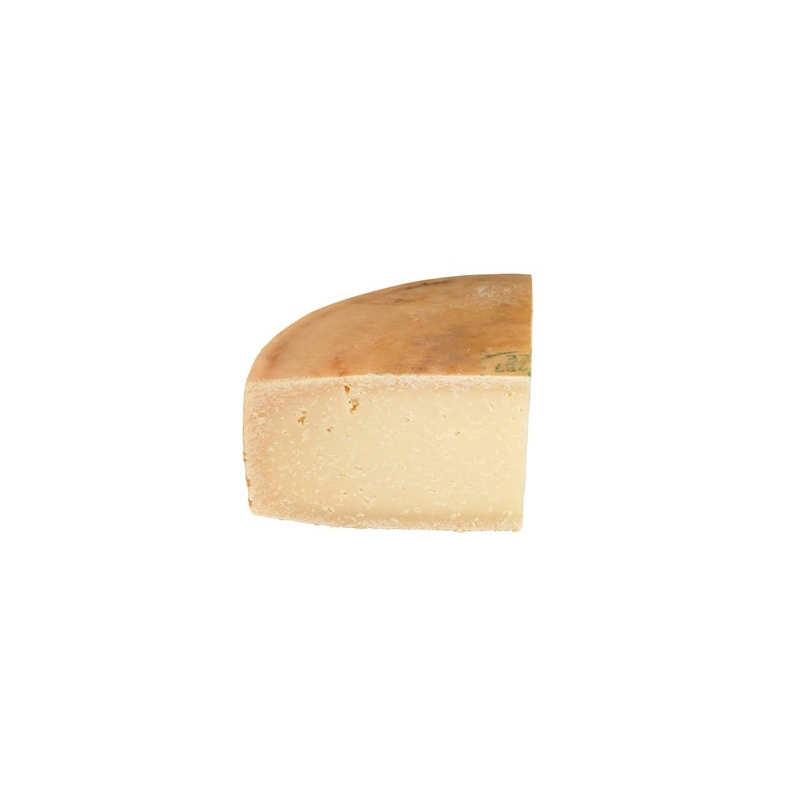 Aged Asiago also known as Asiago d’allevo has crumbly texture. It is matured for different time a period that depends on variety: Mezzano is aged for4 to 6 months, Vecchio is aged for more than 19 months and Stravecchio is aged for minimum two years. Grate this cheese in salads, pastas, soups and sauces. Slice of fresh Asiago is used to prepare sandwiches or Panini. Melt on various dishes such as cantaloupe. Asiago cheese is used as a condiment. It is used as a substitute for Parmesan cheese. 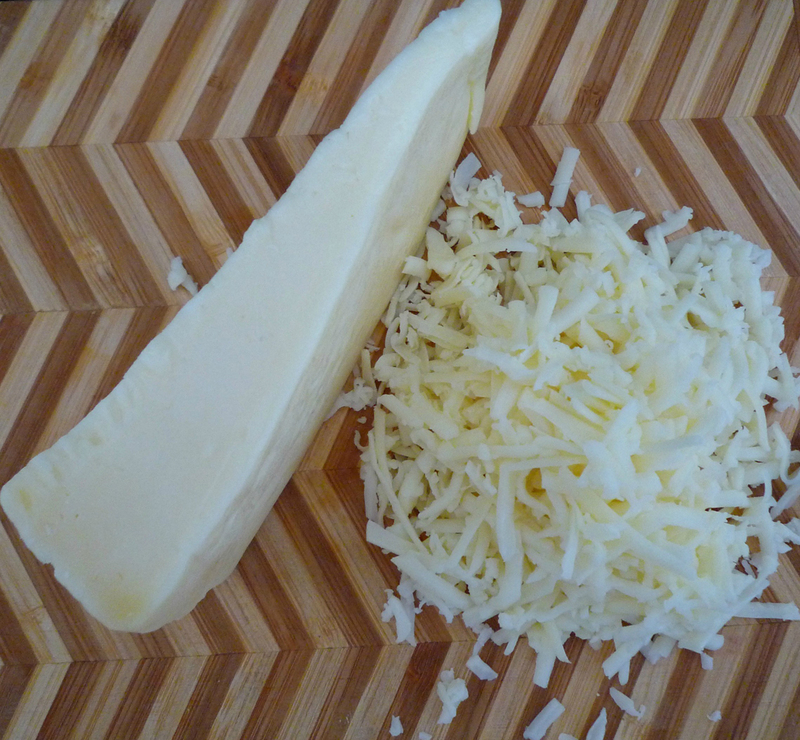 Grate this cheese in a bowl of minestrone. Grate Asiago to bread dough for making rolls, bagels or ciabatta. Add thinly sliced Asiago cheese to salad. 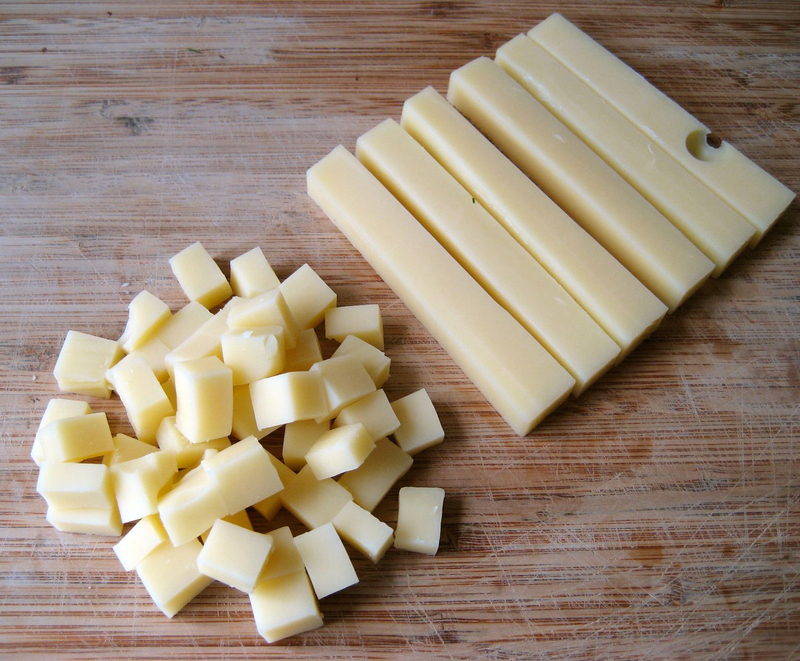 Grate Asiago over pasta dish or spaghetti marinara. Top grated Asiago over roasted vegetables such as tomatoes, broccoli or summer squash. Calories from Fat 13.5 Kcal.